31 December 1969: the world was waving goodbye to the swinging sixties and looking forward with relish to the seventies, a decade that was to promise, and deliver, unprecedented prosperity. With that prosperity came a massive lift in youth income and freedom of choice. 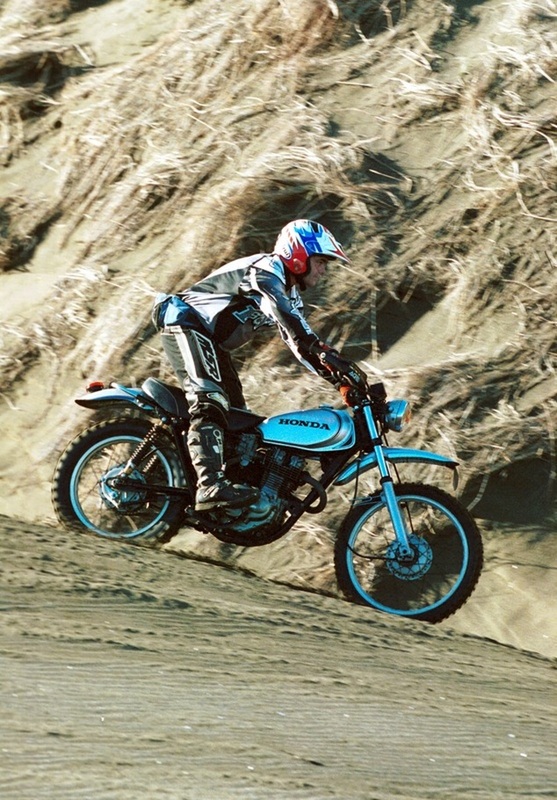 Motorcycling and dirt bike riding readily embodied the sense of liberation of the times. Prosaic as it might appear to youthful eyes, the XL250 bristled styling and technical innovations. The 1972 XL 250 Motosport was, at the time, a revolutionary design: the first practical, mass production, four valve, overhead cam dirt bike, a design that would pave the way for the highly competitive four strokes we ride today. 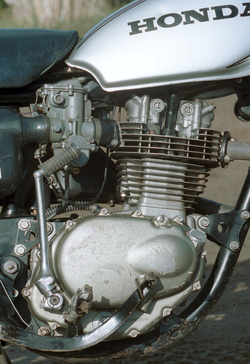 The XL 250 design was a stunning combination of styling and mechanical integration. Slickly shaped plastic mudguards and slim, stylish fuel tank were combined with alloy rims, large (for the times) 36 mm forks, purpose built Keihin carb, magnesium alloy outer engine covers, and that ground-breaking four valve cylinder head. Not only did the XL250 turn heads with its appearance and excite enthusiasts with its specification, but the entire machine, from mechanical detailing to styling and finish was built to an almost unbelievable level of specification.